Dogs–and their owners–are helping this entrepreneur Fetch-a-Biz. Sheryl Matthys was born to be in the spotlight. After graduating from Butler University, she worked for several TV and radio stations before moving to New York City to work on industrial videos as a commercial actress. 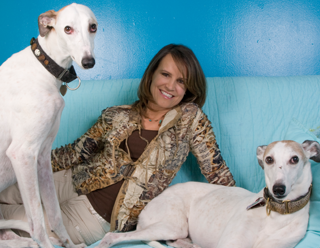 But it wasn’t until 2001, when she got her first greyhound dog, Shiraz, that Matthys, found inspiration–and a new calling. She developed and launched a website, Leashes and Lovers, a social community for people who can’t get enough of their canine friends, and hosted dog-friendly cocktail parties all across the city to help launch the site. 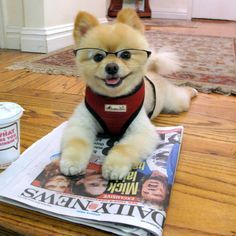 Leashes and Lovers is designed to connect dog-lovers and provide them with a sense of community, a place where they can set up doggie play dates and find charity and sponsored events. The site also offers a social networking feature called FetchaFriend. You can set up a profile for yourself and even your dog. FetchaBiz is another section of the site where members can search for dog-related products and services. Members can also set up business profiles to promote their companies and sell items on their own. Matthys is currently working on her book, Leashes and Lovers: What Your Dog Can Teach You About Love, Life, and Happiness, which should be released some time this year.